Cleveland's Premier Inflatable Party Rental Company! Zero Gravity Bouncers provides inflatable bounce houses, combo's and GIANT slides for any occasion! BOOK YOUR PARTY WITH CONFIDENCE! Click on the bounce houses below for more info! Combo Bouncers! All in one basketball hoop, bouncer and slide! Our most popular bouncer! Or take your party to the next level with our 18' Slide! Delivery is scheduled on a first come first serve basis so book your party today. for Spring and Summer 2019! Need more than one inflatable? They are recommended for service in your area. Terms may vary. All rentals include FREE DELIVERY, SET UP, and TAKE DOWN. Call today or click this ONLINE FORM link to receive a quote. 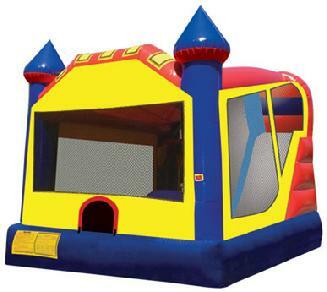 Renting a bounce house / moonwalk / bouncy from Zero Gravity Bouncers will instantly turn any party or occasion into an unforgettable event for everyone involved. 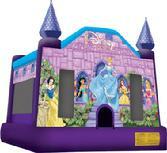 Throw the best birthday party your child has ever had with our giant inflatable bounce houses. The best part is we bring the fun to you! 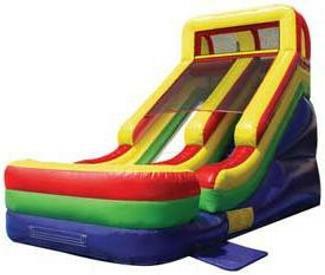 Enjoy the fun of our inflatable jumpers in the comfort of your own backyard. 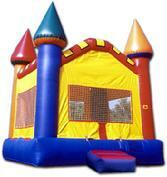 Also our bounce houses are great for daycares and schools. The kids will be amazed!! All of our bounce houses are guaranteed to be clean. Zero Gravity Bouncers (Bounce House Rentals) is a family owned and operated business, located in Cleveland, Ohio. 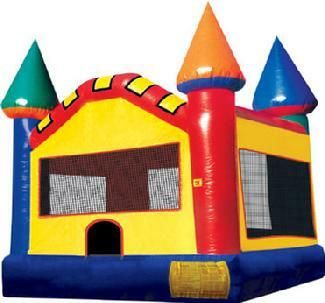 We offer affordable, clean and safe bounce houses, moonwalks, inflatables and inflatable slides. We specialize in private birthday parties, special events, school fairs, church functions, company picnics and all other parties. Call today and let us transform your next party into the best party ever. Zero Gravity Bouncers is licensed and insured as required by the State of Ohio, Department of Agriculture. We also do Fundraisers, Promotions, Company Picnics, and Festivals. If you have any questions, call or send us an email today. Keywords are Cleveland, Ohio inflatable party rentals, Cleveland rental company, Cleveland bouncers, inflatable bounce house rental, funbouncer, fun, jumper, moonwalk, castle, slide, water slide, family reunion, inflatables, birthday party, bouncer, jumping, birthday, block party, inflatable castle, bouncy, jumpy castle, inflatable rental, jumpy house, bouncy castle, cleveland, mentor inflatable rentals, solon party rentals, lake county, cuyahoga county, geauga county, ohio and rental. Zero Gravity Bouncers serves Cleveland, Ohio, Cuyahoga, Lake county, and Geauga counties. Cleveland east, Euclid (44119, 44123), Willowick (44095), Wickliffe (44092), Eastlake (44095), Mentor (44060), Mayfield (44143), Mayfield Hts., Shaker Hts. (44120), Independence (44131), Richmond Hts., Lyndhurst, South Euclid, Willoughby (44094), Beachwood (44122), Solon (44139), Gates Mills (44040), Chesterland (44026), Kirtland (44094), Bentleyville, Chagrin Falls (44024,44023), Orange, Pepper Pike (44124), Russell (44072), South Russell (44022), Hunting Valley (44022), University Hts. (44118,44122), Concord, Chardon (44024), Painesville Township (44077), Willoughby Hills (44094), Parma (44129, 44130, 44134), Lakewood (44107), Rocky River (44116), Westlake (44145), Bay Village (44140), Inflatable Bounce House Rentals.